Robert M. Hazen, Senior Staff Scientist at the Carnegie Institution’s Geophysical Laboratory and Clarence Robinson Professor of Earth Science at George Mason University, received the B.S. and S.M. in geology at the Massachusetts Institute of Technology, and the Ph.D. at Harvard University in Earth science. He is author of 400 scientific articles and 25 books, including Genesis: The Scientific Quest for Life’s Origin and The Story of Earth. He was the 2016 Roebling Medalist of the Mineralogical Society of America. 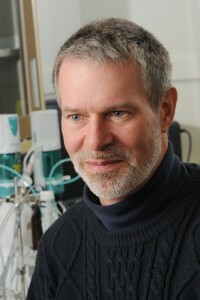 A former MSA President and winner of the MSA Award and their Distinguished Public Service Medal, Hazen’s recent research focuses on the role of minerals in the origin of life, the co-evolution of the geo- and biospheres, and the application of “big data” to understanding mineral diversity and distribution. He is also Executive Director of the Deep Carbon Observatory, a 10-year project to study the chemical and biological roles of carbon in Earth’s interior. Hazen is active in presenting science to nonscientists through writing, radio, TV, public lectures, and video courses. In 2016 Hazen retired after a 45-year career as a professional symphonic trumpeter. Back by popular demand! Dr. Hazen also spoke at our 2014 Dallas Symposium. Watch his talk OnDemand. A fundamental goal of mineralogy (and mineral collecting) is to understand the diversity and distribution of Earth’s mineral riches. Recent groundbreaking research, exploiting “big data” resources such as rruff.info/ima and mindat.org, has discovered that mineral occurrences can be modeled using social network analysis—a powerful approach that is being applied to such varied topics as Facebook interactions, the spread of disease, terrorism networks, and shopping preferences on Amazon and eBay. Applying social network analysis to common rocks, ore deposits, and mineral collecting localities reveals patterns of diversity and distribution that are similar to those of human social networks. These beautiful and data-rich patterns provide new insights into the way planets evolve, especially the co-evolving geosphere and biosphere. Network analysis also points to promising ways to predict mineral occurrences, including locations of rare minerals, valuable ore deposits, and Earth’s hundreds of “missing” minerals. 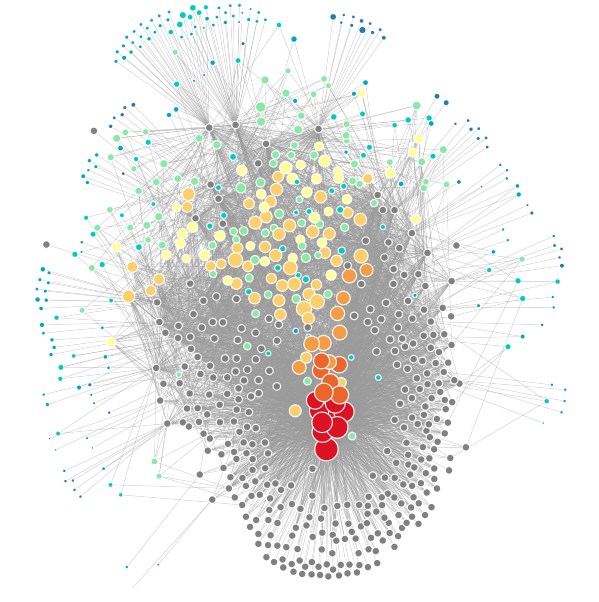 A bipartite network diagram of 400 carbon bearing minerals (colored circles) that are found at 300 worldwide localities (black circles). Mineral networks diagrams reveal previously hidden patterns in the diversity and distribution of minerals. 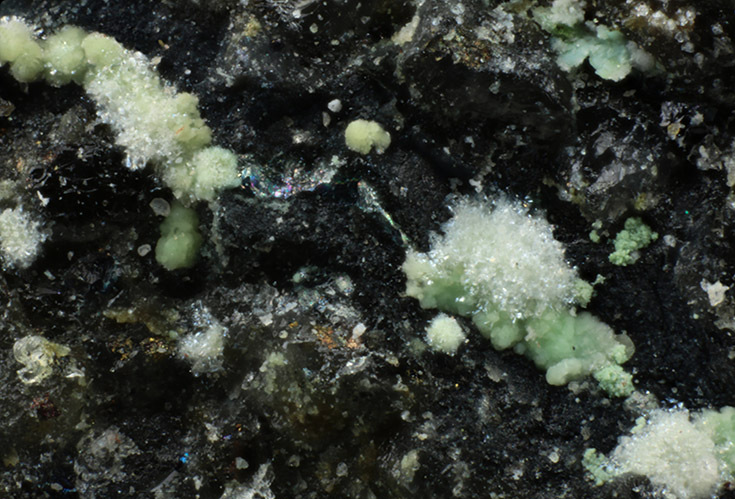 Abellaite, a sodium-lead carbonate predicted to exist by Hazen and his team, is the first new carbon mineral to be discovered during the Carbon Mineral Challenge, which seeks to locate and describe many of the 145 as yet undiscovered carbon-bearing minerals predicted to occur on Earth. For information about our upcoming 2019 Dallas Symposium to be held August 22-25, 2019, sign up for e-mail updates! © 2019 Dallas Mineral Symposium. All Rights Reserved.